In modern society, mental or physical stress can cause serious damage to health, specifically in terms of decrease in vigor and virility. Sexual desires are often an important factor in the formation and maintenance of intimate relationships in both men and women, and a lack or loss of it can adversely affect relationship. Changes in the sexual desires of either partner in a sexual relationship, if sustained and unresolved, may cause problems in the relationship. Lack of sexual desire or erectile dysfunction could have been caused due to several reasons like psychological, neurological, hormonal, and vascular pathologies, or combinations of these and also due to some diseases, disorders or their treatment with drugs which have potential adverse side effects. 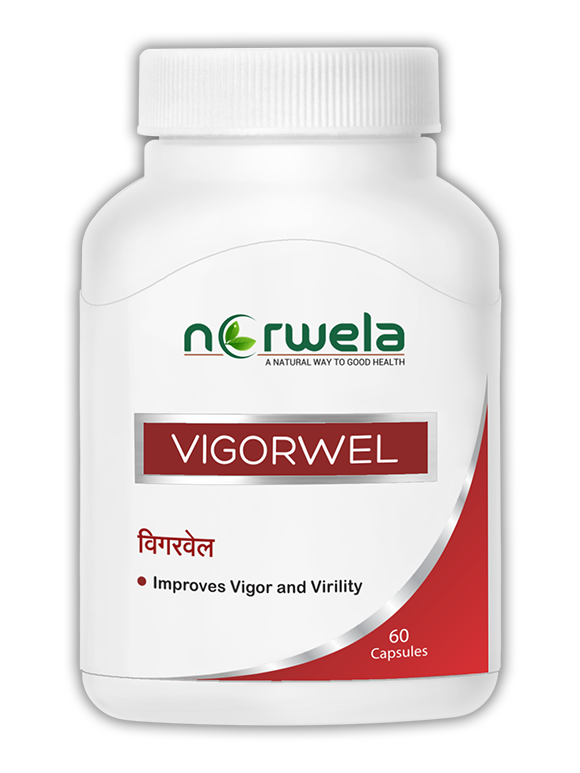 VigorWel, a polyherbal formulation by Norwela is a revolutionary advancement in treating and enhancing sexual performance for men. It is an innovative, safe and natural solution to all problems related to deficient stamina/virility. The formulation is a blend of standardized extracts of various herbs that have proven quality to Improve Vigour and Virility. It is specially formulated to increase blood flow and boost physical response and stamina .This formula can be taken daily for an effective maintenance of sexual health or as needed for fast acting sexual enhancement.